UW–Madison is generally open for business year-round and rarely closes as a result of snow or other inclement weather. In the event of a snow closing or large-scale class cancellations, information will be conveyed to the campus community via the UW–Madison home page and local media. In these instances, anyone planning to attend events on campus is encouraged to call ahead to ensure programs are being held. In general, employees who would like to leave early due to poor road conditions are advised to use their own discretion regarding their health and safety, but are required to use accrued holiday, vacation or compensation time to cover any absences. In all cases, check with your supervisor. Supervisors are advised to grant approval of all employee-requested leave in inclement weather situations. Campus bus service may be impacted by weather. For more information on services and delays, visit Madison Metro online. Winter road condition information is available from the Wisconsin Department of Transportation online. 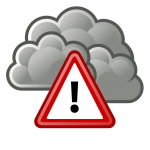 For campus weather forecasts visit, the Department of Atmospheric and Oceanic Sciences. Community-wide warnings for dangerous weather are sent automatically to cell phones and are provided by the National Oceanic and Atmospheric Administration (NOAA) through FEMA’s Wireless Emergency Alerts. Current participating carriers include AT&T, Bluegrass Cellular, Cellcom, Cricket, Sprint, T-Mobile USA, U.S. Cellular and Verizon. Alerts are sent automatically, are automatically targeted to the affected area, and rebroadcast until the emergency has passed and there is no longer a threat to the affected area. Wireless Emergency Alerts are free and there is no need to sign up. Click here for more information about Wireless Emergency Alerts. Other forms of notification include sirens, the Wisconsin Emergency Alert System and other local media. We encourage the use of a NOAA weather radio, local media, or mobile phone apps to keep tabs on severe weather. Tornado watches and warnings, or other strong storms, are not uncommon in Dane County. Know the location of the nearest emergency shelter for your facility. Check with your facility manager or check building postings for the location of emergency shelters. A TORNADO WATCH means conditions are right for a tornado to develop. Continue with normal activities, but continue to monitor the situation. A TORNADO WARNING means radar or weather spotters have identified a tornado. The emergency sirens will sound a steady tone for three minutes or longer if there is danger in the immediate area. Seek immediate shelter (individuals with disabilities, follow the same procedures). When the warning siren sounds, seek shelter, preferably in a basement or below ground evacuation location. A steel formed or reinforced concrete building will provide some protection. In a multi-story building, seek shelter in an interior hallway or a lower floor. Stay away from outside walls, exterior doors, and glass windows or partitions. Do not open windows. Basements and interior hallways or rooms on lower floors offer good shelter. In vehicles, get out and seek shelter in a nearby well-built structure. If you cannot find a structure nearby, seek out a ditch or ravine, which can offer some protection. Lie face down, with hands covering your head. After the all clear, leave badly damaged buildings if it is safe to do so. Elevators may not work in damaged buildings; the electrical power may be out or there may be damage to the elevator equipment. If you are surrounded by debris, be aware that removing some of it can cause other debris or part of the building to collapse. If it is not safe or possible to leave the area, stay there until assisted out. Do not attempt to return to the building unless directed to do so by UWPD. Do not attempt to turn on or off any utilities or other equipment. Report all injuries and damage to UWPD by calling 911.